Areva NP’s uranium fuel mill in Lingen in Germany is running at full speed. Areva shall deliver the initial charge of fuel to Teollisuuden Voima (TVO) for the Olkiluoto 3 reactor. In Lingen nine uranium fuel chests/coffins? are ready to go. In every chest/coffin there are two fuel bundles. All in all 246 fuel bundles will be loaded in the Olkiluoto 3 reactor. 123 chestss/coffins are leaving Lingen. The fresh fuel manufactured from natural uranium consists of two uranium isotopes: U-235 ja U-238. Areva NP’s Advanced Nucleat Fuels CEO Peter Reimann is satisfied with how the works proceed. The massive delay of Olkiluoto 3 he does not want to comment but says that the production of fuel flr the Olkiluoto EPR type reactor has not caused any problems. Andreas Hoff, director of the Lingen factory agrees. Hoff emphasizes that the fuel assemblies for nuclear power plants are constantly being developed. 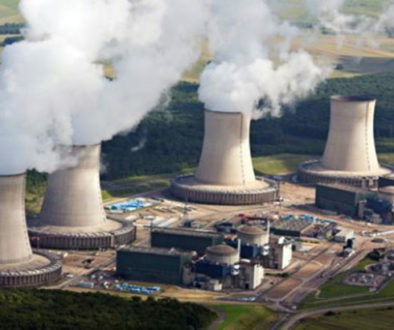 “For the nuclear power plants the fuel is mainlyplanned individually. Every nuclear power plant is in this respect individual”, says Hoff . The individual point is that with an fuel composition as good as possible the plant can produce better, that is more electricity. In Finland the utilization factor is over 90 percent. For instance in France the utilization factor is usually less than 90 percent.